PT Nusa Raya Cipta’s construction service company will release 12.34 percent or 306.09 million shares in an initial public offering (IPO). The management, led by Hadi Winarto Christianto, explained that the bookbuilding period will start on today, Thursday (30/5/2013) until June 7, 2013. Meanwhile, the effective statement related to the corporate action is expected to be obtained on June 18, 2013. “Initial listing of shares in Indonesia Stock Exchange we hope can be realized on 27 June 2013,” he explained in the prospectus published on Thursday (30/5/2013). Together with the IPO, the company will also issue a series warrants of 102.03 million shares that can be converted into new shares. The Series I warrants are granted to each new shareholder whose names are listed on the shareholders’ allotment list for free with the condition that each holder of three new shares will receive a single I warrant. company on May 27, 2013. 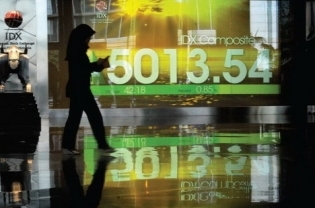 “Saratoga Investama Sedaya took over the company’s shares by 8% for Rp120 billion. And the ownership of Saratoga became effective on the date of issuance of the letter of acceptance of notification of changes to the company’s articles of association, “he explained. From previous reports, the company plans to conduct share swaps with Saratoga before the IPO.At that time, Saratoga plans to buy some shares of Nusa Raya, and Nusa Raya will buy Saratoga shares of the same amount in the Cikampek-Palimanan toll road project.